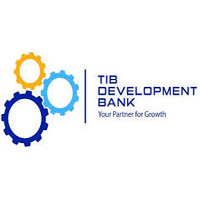 Home / JOB VACANCY / TIB DEVELOPMENT BANK LIMITED JOB VACANCIES CHECKOUT YOUR POSITION HERE. TIB DEVELOPMENT BANK LIMITED JOB VACANCIES CHECKOUT YOUR POSITION HERE. The successful candidate will work in the Technical Services Department and report to Manager: Technical Services. She/he will be involved in all technical matters related to construction cost management, including construction costs estimates and analysis, tender analysis, quantity take off in building structures and roads, project cost investigations etc. 1. Bachelor of Science Degree in Quantity Surveying, Building Economics, Construction Economics and Management and Construction Management. 2. Possession of a Masters' Degree will be an added advantage. 5. Demonstrated innovative approaches to problem solving and ability to negotiate across the various levels of any construction environment. The successful candidate will work in the Technical Services Department and report to Manager: Technical Services. She/he will be involved in all property management related matters including valuations, appraisals, property studies etc. 1. Bachelor of Science Degree in Land Management & Valuation; Real Estate (Finance & Investment); Property & Facilities Management. Nature and Scope: The successful candidate will work in the.Technical Services Department and report to Manager: Technical Services. She/he will be responsible for identifying, coordinating and implementing identified bank project interventions that support national industrial development. 7. Strong management skills, including the ability to provide strategic guidance, technical oversight, and to work in multi-cultural environment. The successful candidate will work in the Technical Services Department and report to Manager: Technical Services. She/he will be involved in all civil engineering matters related to planning and implementation of infrastructure and real estate projects funded by the bank. 6. Excellent written and communication skills in English. 1. Understanding of construction industry legislation and regulations.